For the weekend we were in the Mornington Peninsula, we were extremely fortunate to be put up in absolutely gorgeous accommodation: Tussie Mussie Vineyard Retreat. 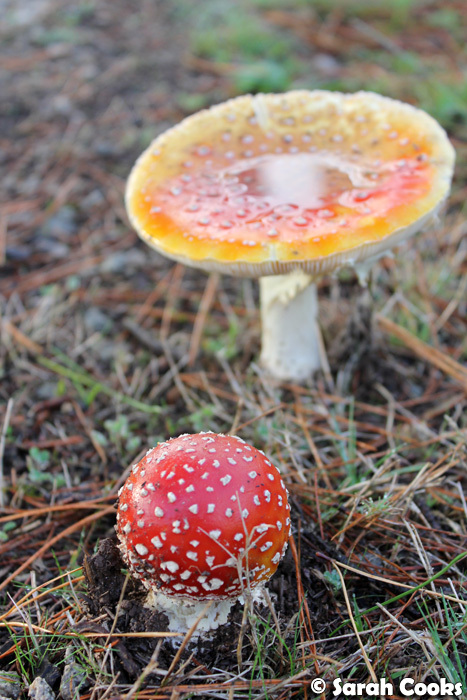 Fliegenpilz - deadly mushrooms, do not touch! But aren't they just so pretty? When we arrived, the sun was just about to set and, thankfully, the rain had cleared up, so we were able to have a walk around the gardens with owner Sioned Rees Thomas. Tussie Mussie was historically a functional rose farm, and has now been converted into boutique accommodation, with space for up to fourteen guests. 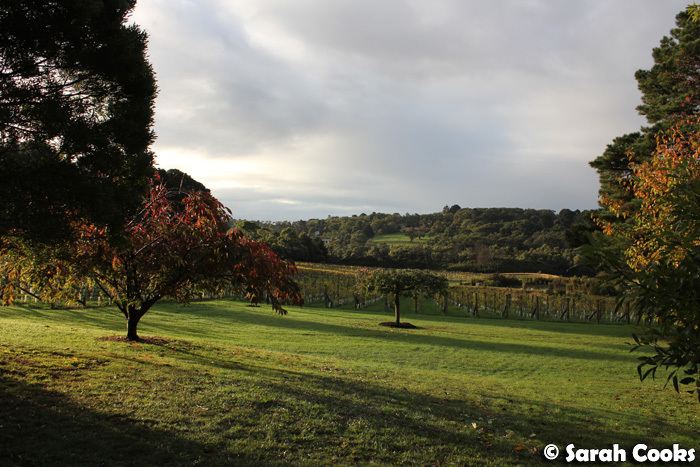 I love these views across the vineyard! 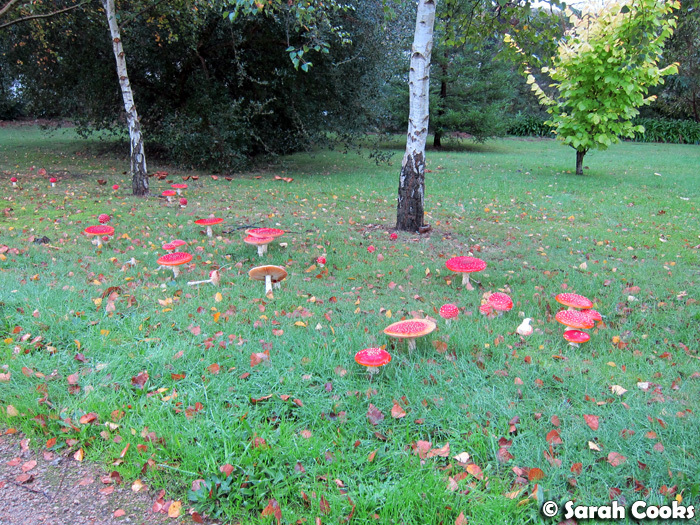 There were mushrooms sprouting up all over the place - they really thrive in the damp conditions! There was a big clump of (what I think are) pine mushrooms - I would have loved to pick them and have them for breakfast the next day, but I'm no mushroom expert so thought it was safer to leave them in the ground. 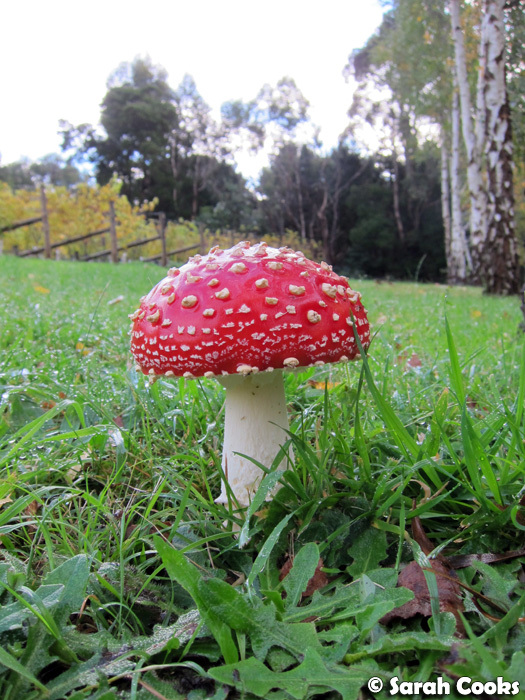 Sioned says that you can often see little old ladies picking mushrooms on the side of the roads during mushroom season! 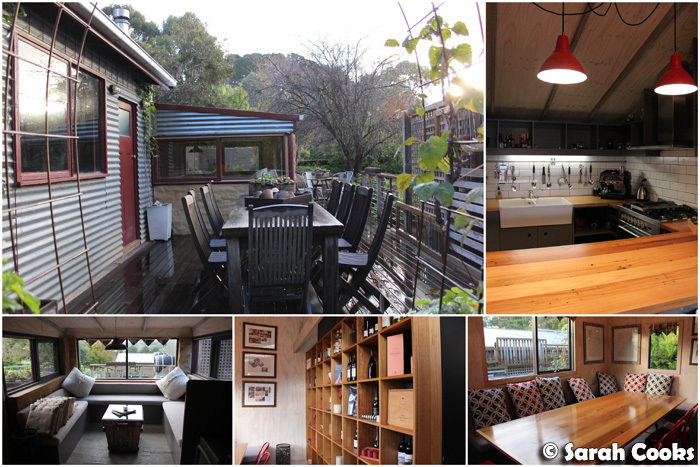 There are quite a few different areas across the property that guests can enjoy for meals or other functions. Below we have the Long Table - can you imagine how pretty it would be all covered in flowers and flickering lights for a wedding? 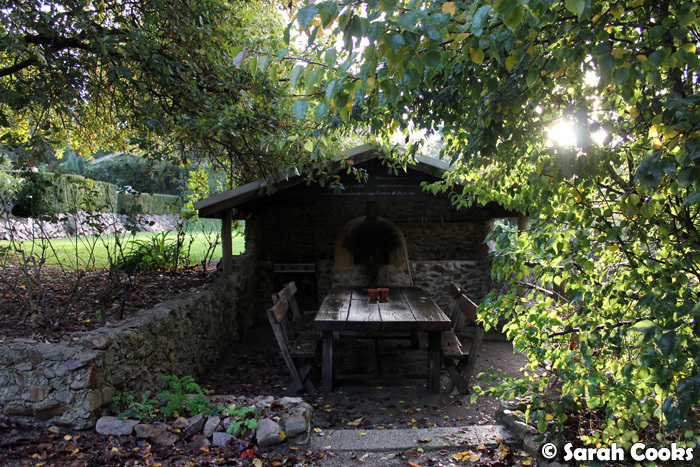 The Pizza Oven was actually here before the current owners bought the property, and it was one of the features that attracted them to it. You can hire a personal chef to cook dinner in the Vineyard Kitchen - or even cook in it yourself if you're feeling energetic! The dining experiences are all created individually, so obviously prices would vary depending on what you're after. According to Sioned, they can do everything from a casual pizza supper right up to a multi-course dinner with canapes and matching wines. 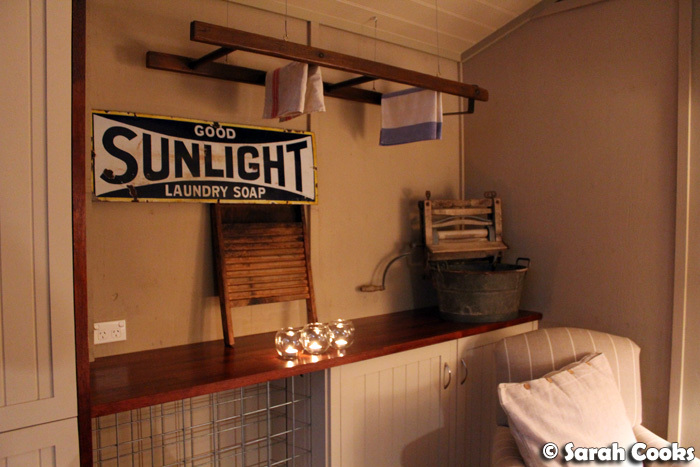 Now, as for the accommodation itself, we were staying in the gorgeous Old Laundry Room, a spacious, self-contained suite with its own entrance and a lovely outdoor seating area. 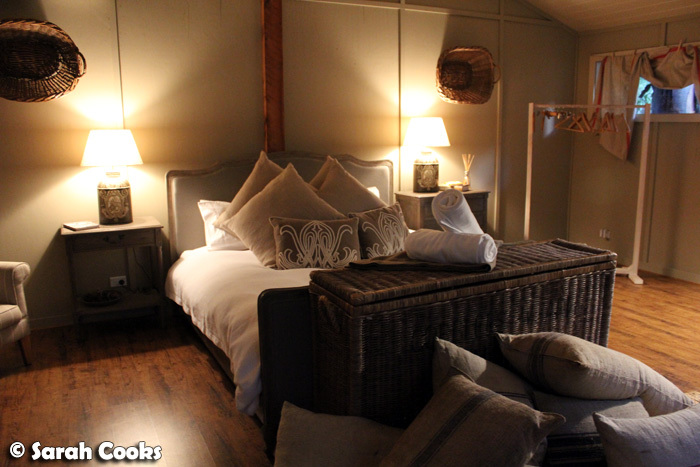 The suite actually was the laundry back when the property was a working farm, and the history of the room is reflected in its current decor. We were greeted by a veritable cornucopia of provisions: local cider, bread and marmalade, home made peach and nut muffins, muesli, coffee, tea, local apple juice, fresh eggs and more! (Sausages and bacon were waiting in the fridge). Despite the rustic look, the suite was fully stocked with modern amenities, like a flat screen TV and DVD player with a little DVD library, a Nespresso machine, an air conditioner, a dishwasher, microwave, electric frying pan and a Neil Perry barbecue! 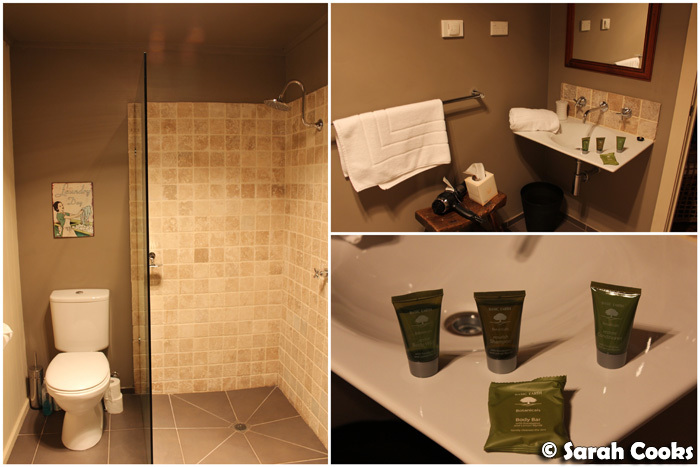 ...and even more impressed by the heated floor in the bathroom! Aaah... luxury! And speaking of luxury, the incredibly fluffy goose-down doona and 1000-thread count cotton sheets were just heaven! After a very early start and a long day, I was absolutely exhausted, and the bed was so super comfortable - if we didn't have dinner at Stillwater at Crittenden to get to, I could have very easily fallen asleep! 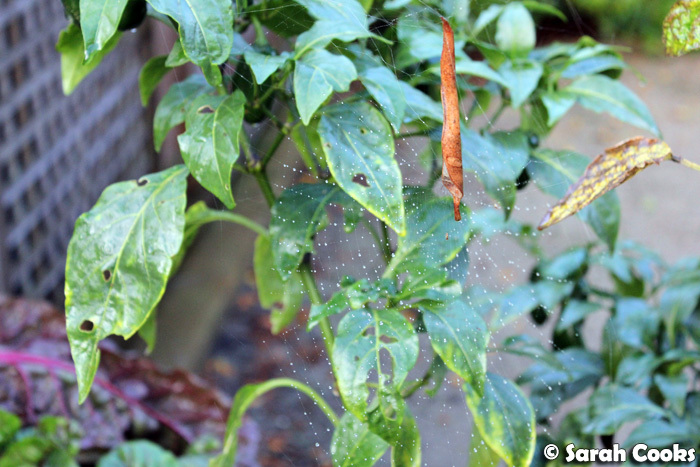 (That dinner will come up in my next blogpost). To finish off this post, let me show you breakfast I had the next morning! 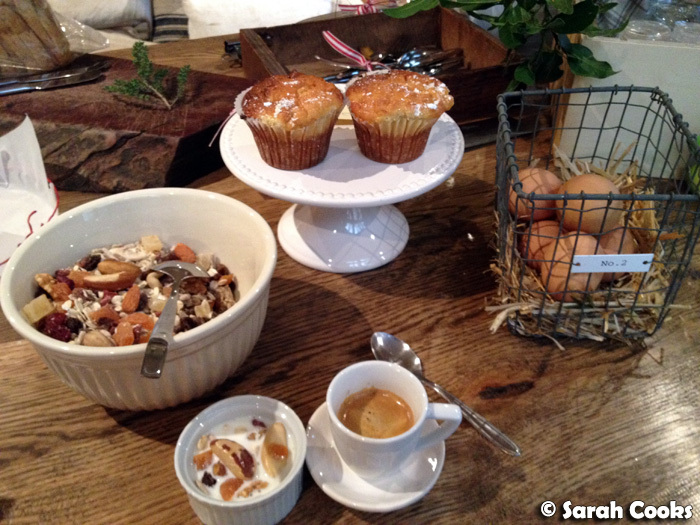 Yummy muesli, a sweet little muffin and an espresso, and I was all fired up and ready to start another day of touring and eating! 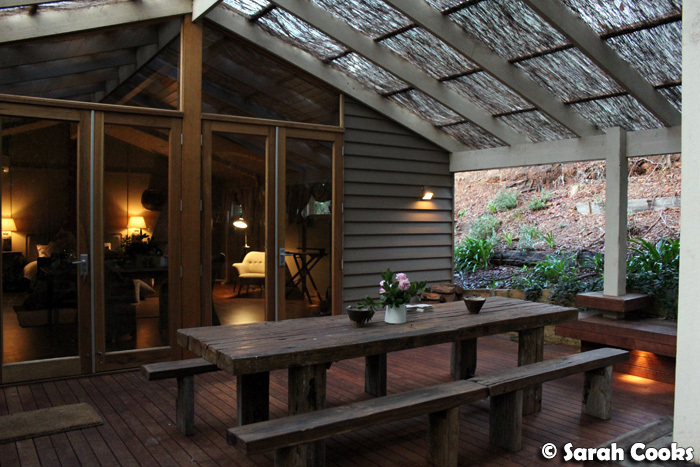 Sarah and Sandra stayed at Tussie Mussie Vineyard Retreat as guests of Mornington Peninsula Tourism. 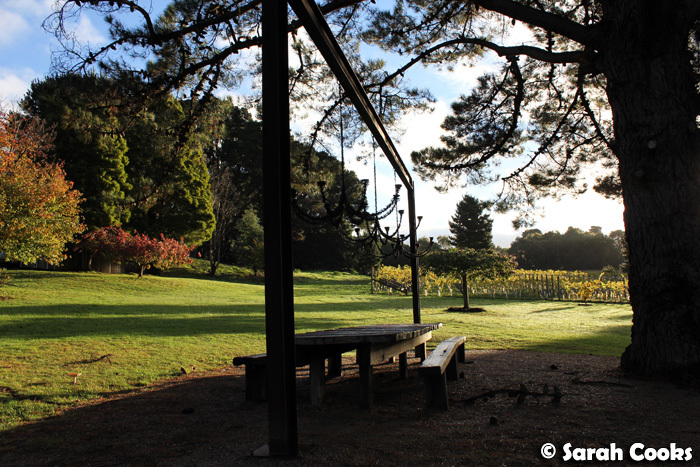 This is the third post from my 2012 Mornington Peninsula Trip series. Mushrooms like that would make me think that I'd stumbled into a fairytale, but even without the poisonous disclaimer I'd be too scared to eat them. After all, did Alice's experiences in Wonderland teach us nothing? Muesli, though, muesli I can do. 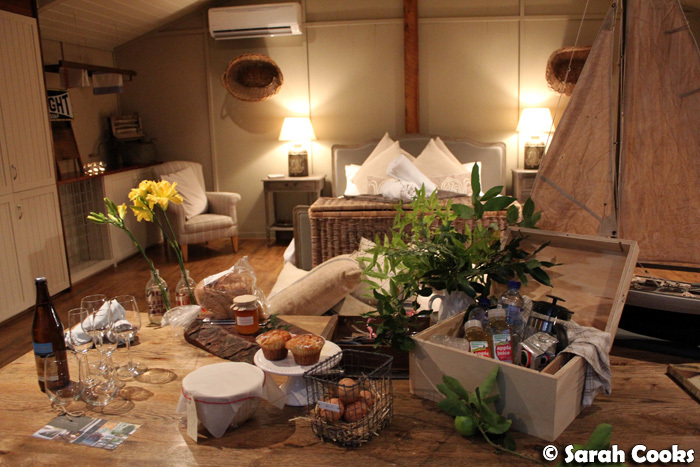 This accomodation looks very cosy, perfect for winter! Michele - It was so lovely! 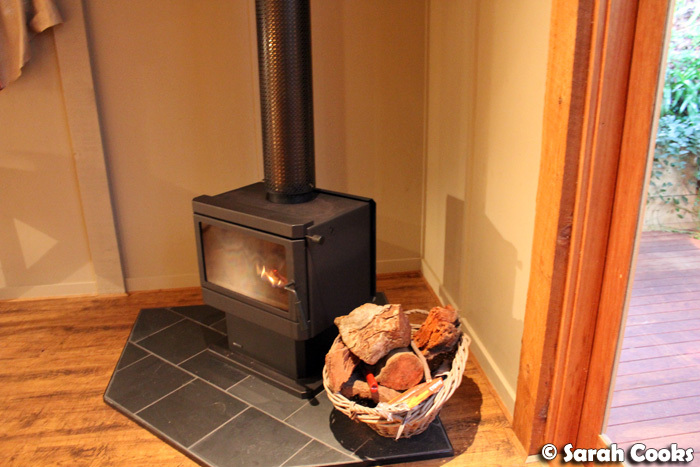 I wish I had those heated tiles and fire heater here for this cold weather! Winston - I know, right! So freezing here in Melbourne, I wish I could go and crawl into those thick fluffy doonas again! 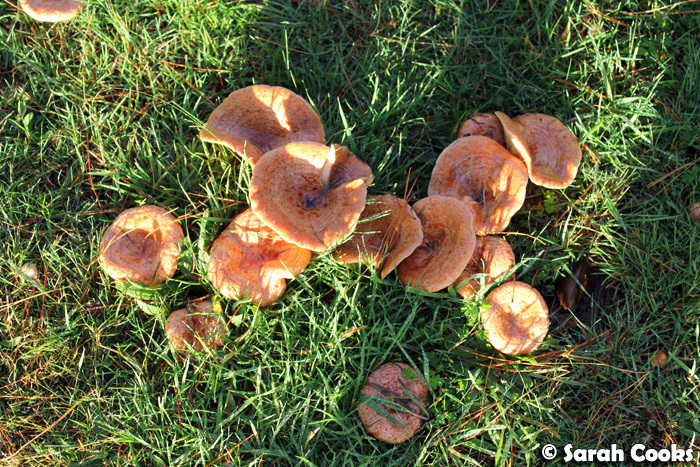 And I'm with you - I think I can identify pine mushrooms, but I wouldn't take any chances without an expert!